Some few years ago the Nigerian Fashion scene was been overwhelmed with designer clothing imported into the country to satisfy the demand and preference of western style to the local materials. But with recent findings, the Nigerian fashion scene has witnessed an astronomical upgrade that western fashion is fast losing its taste among Nigerians. 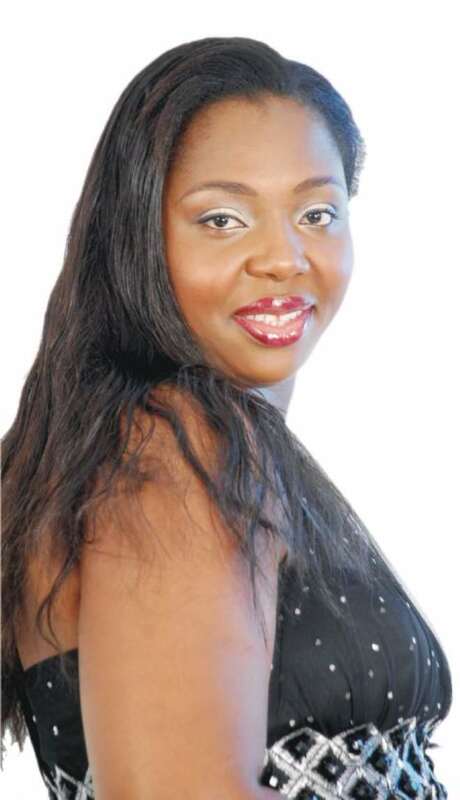 The 'Queen of Style' award winner of the Treasure Life Style Award 2009, Uchenna Janet Ejikeme, who also is the MD/CEO, Johnny Young Nigeria Limited, admits that the concept of style is based on taste and choice. She also opens up on her experience as the Queen of Style 2009 Award winner in this interview with AHAOMA KANU. How did you emerge the Queen of style 2009 at the recent Treasure Life Style Award competition? I was selected and nominated with traces of my past style exhibition photographs that were snapped at functions, after which there was a follow-up on me for conferment of the award as Queen of Style 2009. Not only that, but my kind of relationship with humanity concerning my charity involvement, which brought my identity and personality into limelight, was followed up and used as a yard stick to measure my worth for the award.Actually, Queen of Style has more of charity undertone. You know that Treasure Life and Style initially came up with the 'Angel of Hope' concept, which is celebrated every year, and the last one was celebrated in December, 2008. It was focused on the less privileged; the orphanage, just for the charity. So, that was how they came about Queen of Style. For you to be a Queen of Style is not just a fashion statement, it is not just showcasing the African or the beauty alone, but you have to have a good heart as well. How do you feel being tagged the Queen of Style 2009? I give all Glory to God. I have been so excited knowing fully well that this whole one year that I have reigned. I have to use this as an opportunity to take care of he less privileged because I am quite excited about it; showing love to those who do not have, making them happy and always putting smiles on their faces. Was there any embarrassing moment since you emerged the Queen of Style 2009? When the competition was at the planning stage, I was given a notification prior to that time with congratulatory messages as the 2009 Queen of Style Award winner, and then we went on preparing for the official celebration. At that time, I had a lot of phone calls from people wanting to know how I did it. So, they went on asking me all kinds of questions, wanting to know if I paid the media to get that honor, but I had to keep explaining to them that it was not that way. I had to make them understand that I was selected without my consent and I was thereafter approached to be informed about the development. Wat has been your challenge as a result of this honour? You know it is not so easy trying to manage your image as a public figure. A lot of people will see you, recognize you, come around you, talk about the things you do, but so far so good, I have been able to manage those challenges. Could you share with us a few of your knowledge about style? Style is meant to be a concept about being in your comfortable taste and choice of making. It is not supposed to be just all about what is in vogue, but what you conceptualize into style. Because if you walk around the world today, you would discover that a lot of styles being adopted were conceptualized choices of different individuals, groups or people, who others then decided to, go with. But I don't believe in going with a trend as a way of style. Fashion and style are supposed to be an issue of choice based on individual taste. How have you explored the concept of style so far? I don't think I am in the best position to say that because it is people around me who see me and they are the ones to assess me to know whether I am good to go or not. Who is your mentor in the world of style? In Nigeria, I have Nike Oshinowo and Oprah Winfrey in the United States of America. If, peradventure you grab the opportunity to explore the world of style, to what height would you take it? I would take it to the topmost height because most people appreciate style. You know, you catch the attention of people whenever you come out looking good in a particular style of outfit or whatever. So, if I am privileged to really explore the concept of style, I would make most people in the whole wide world to appreciate style the more. What do you have to say about adoption of foreign culture of styles by Nigerians today? Well, it is not really so any more because when you look around in recent time, you would notice that Nigerians often dress in our local costumes at parties and other functions. Although, most of our young ladies are often found in Western outfits, but I would like to use this opportunity to let them know that our local styles are still the best. Could you just enlighten us a little about style? At what age did you venture into the world of style and what inspired you? I have been in it while I was very young and I took after my mother who was then a very style conscious person. What are your special interests and who are the sources of you courage in your endeavors so far? I love to help the less privileged and I really hope to do more of that during my reign as the Queen of Style 2009. I really want to thank my supportive husband, my mum, friends and siblings.